A number of new handsets have been released over the past couple of months by Samsung and Xiaomi. It all started with Samsung’s Galaxy M series — the M10, M20, and M30, followed by the A series — A30, and A50. These new devices along with Xiaomi’s Redmi Note 7 and Note 7 Pro, have clearly left consumers looking to buy a phone in the mid-range spoilt for choice. These smartphones differ in terms of processors, displays and cameras and are targeting consumers with various USPs. However, one common theme across these devices has been the lock screen. Both Samsung and Xiaomi have partnered with Glance to deliver an interesting lock screen experience to consumers. 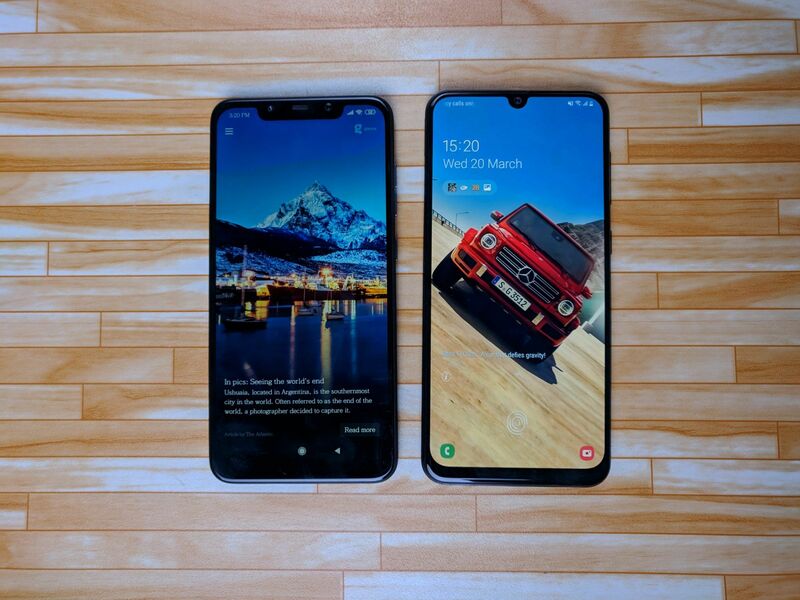 With so little time at our disposal and so much content to consume, it’s interesting to see how Glance is helping solve this issue on devices from Samsung and Xiaomi. While there’s some brand-specific customization of the Glance feature on the lock screen that’s clearly visible across the two brands, the underlying experience is the same. The interesting thing about Glance is that it’s not an app, and you can’t even download it from the Play Store. It is part of the phone which means you can access Glance just like you would access any other built-in feature. That also means that you’ll have to buy a Glance-enabled phone to be able to use it. Currently, Glance is available on most models in the Samsung’s Galaxy A, M and J series of Samsung and on most Xiaomi phones, including the POCO F1 and the recently-launched Redmi Note 7 duo. On these devices, Glance is an out-of-box-experience. So all you need to do is just start using the feature directly. It’s that simple. There are three modes or levels of content consumption in Glance. The first is on the lock screen itself —every time you wake up the phone, you’ll see a different piece of content, which includes a visually-rich image and a headline. The next one is when you find something of interest and you want to know more about it. Depending upon whether you are using a Samsung or Xiaomi phone, the step differs. On a Samsung device, you swipe down from the center of the phone; on a Xiaomi device, you either swipe right or tap on a button next to the headline. In this mode, you get to see more details about the content. If it is video content, then you can tap on the play button to view the clip right away. The third level of Glance consumption is even more rewarding, where you simply scroll up or down on both Samsung and Xiaomi phones to get a feed of visually rich, informative content. Now that you know how to use this cool feature, here are the four things that we really like about Glance. The visuals in Glance are really pleasing. We love how the phone looks different, each time you pick it up. We now want to keep waking the phone through the day. The images all seem to be designed to make one feel happy – I haven’t come across any content so far that isn’t positive or smile-inducing. Before Glance, we never thought of how under-utilised the lock screen of our phones was. Not only does this make the lock screen really beautiful, but also makes it easy for us to check out interesting content without having to do a thing. Whenever we have a spare moment, we just wake up the phone to pick up some information. There is so much content to consume across multiple categories including news, food, sports, fashion, travel and entertainment. The fact that most content is in the form of short videos makes the experience more fun. Not everything that we see on the lock screen is about information. There are also games, quizzes, music, etc that make it even more interactive. This keeps us interested in going back repeatedly to our phone, as we don’t know what will come next — it’s like getting a little surprise each time you wake up the phone. Once you go through the categories that Glance offers and choose the ones that you want to follow, you see content only from your chosen categories on your lock screen, which is really thoughtful. That’s not all, Glance offers content in Hindi and Tamil in addition to English, so that you consume content in your favourite language. Overall, we’re really enjoying the new experience that Glance has to offer. It makes us wonder why it hasn’t been done before. It’s innovative, yet simple to use and it certainly has us hooked. It would certainly be great to see Glance on Samsung’s flagships as well as phones from other brands.